The Believe In Tomorrow Children’s Foundation is a non-profit organization that provides hospital and respite housing to critically ill children and their families. Having pioneered the concept of pediatric respite housing, the organization continues to be recognized as a national leader in offering these services to patients. Founded in 1982, the Believe In Tomorrow Children’s Foundation operates two hospital housing facilities in Baltimore, MD, for children and families visiting Johns Hopkins Hospital. They also have three beach and two mountain respite facilities in Maryland, Delaware, and North Carolina, where families are offered an emotional and geographical retreat, free of charge. 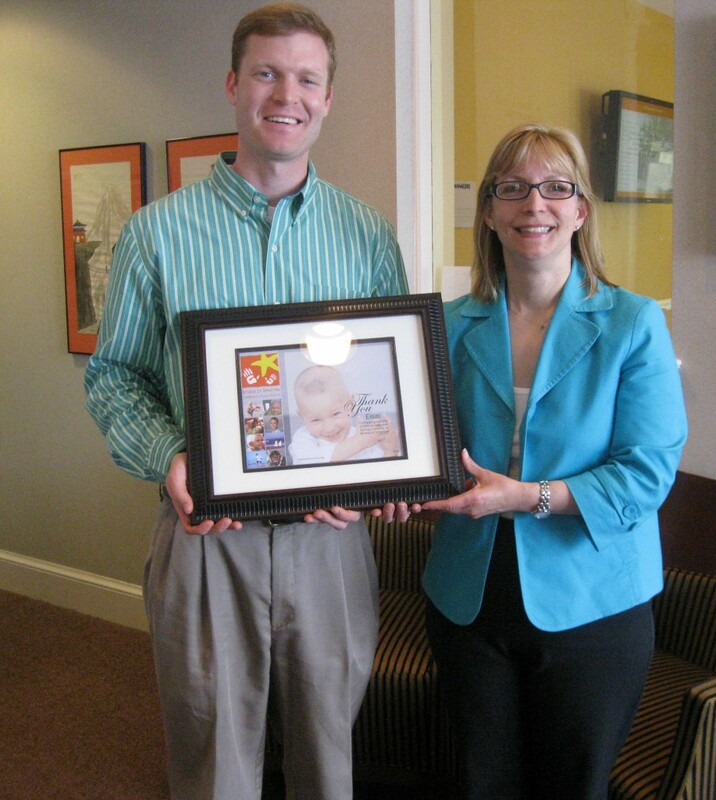 The Believe In Tomorrow House at St. Casimir is the only stand-alone hospital housing facility nationwide to serve the unique, long-term housing needs of pediatric bone marrow transplant patients and their families. Many children staying at the facility have lowered immune systems and are only able to venture outside when traveling to and from the hospital for treatment; therefore, the clean and comfortable environment that the organization offers is essential. 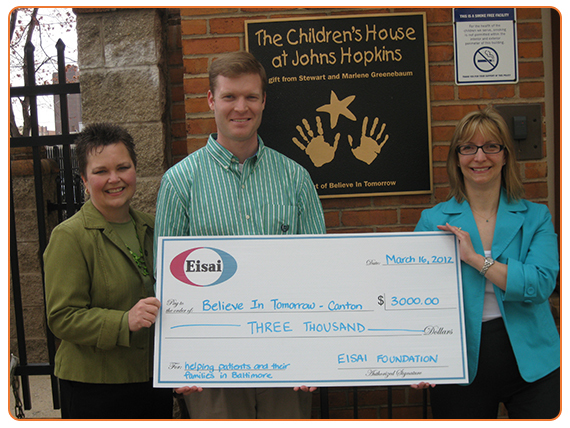 Eisai employees first began volunteering at St. Casimir in 2011. Other volunteers help by cleaning after families check out and sprucing up the outdoor patio and garden. Groups of about 10 Eisai volunteers initially began assisting at the Believe In Tomorrow House at St. Casimir once a month; however, soon after they started, word spread within the company about the compelling work of the non-profit. Employees from other regional Eisai offices started volunteering at Believe In Tomorrow’s primary hospital housing facility, the Believe In Tomorrow Children’s House at Johns Hopkins. One of the unique features of the Believe In Tomorrow Children’s House at Johns Hopkins is complimentary, homemade meals offered almost every night. In this communal environment, families in similarly stressful situations can lean on each other for support. Without help from volunteer groups, like Eisai, who cook and sometimes compete against each other in team building “Top Chef” contests for best meal, the Family Suppers program wouldn’t be possible. After learning about the unique and vital services the organization provides to children and families in need, the Eisai USA Foundation, an independent non-profit affiliate of Eisai Inc., also began supporting the organization with funding. When asked about support from Eisai – whether from its employees or from the Eisai USA Foundation – Believe In Tomorrow founder Brian Morrison couldn’t offer enough praise.